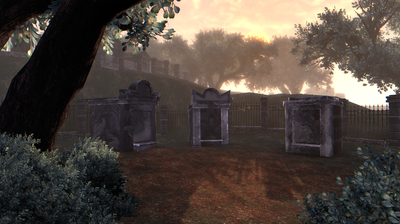 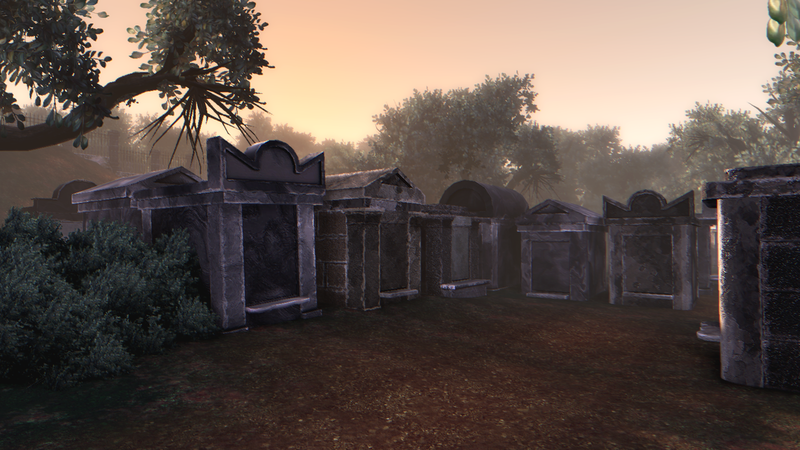 A New Orleans inspired cemetery environment with above ground tombs built in UDK. It seems normal, but there's a twist-- there's a party going on in the afterlife. 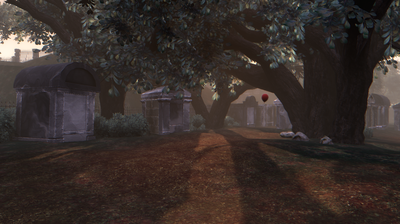 A wandering ghost balloon, Pinatas and exploding confetti tombs. A movie flythrough of the level. 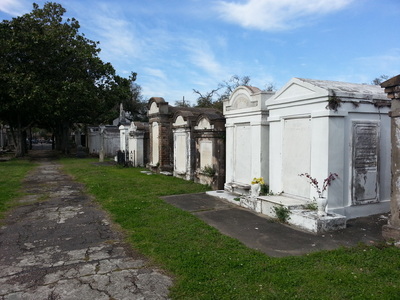 Music track is Westlawn Dirge by the New Orleans Preservation Hall jazz band. 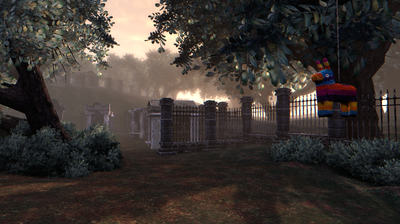 The intent for the level is that clues will lead you to an after death party as you wander through the cemetery. 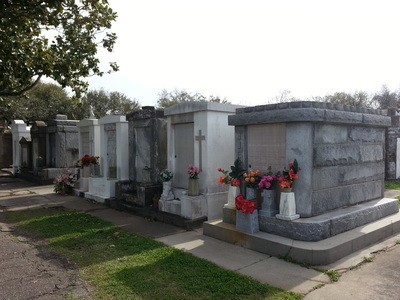 The concept is a play on the spirit of the people of New Orleans, who are known for their grand jazz funerals and view death as a time to celebrate the lives of those who have passed and make sure they go out with a bang. 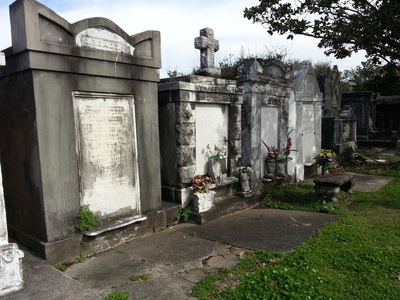 In this environment, the graves in the cemetery are above ground tombs, due to the complications of burying caskets in an area situated slightly below sea level. The weather is often warm but rainy, and the cemetery is prone to flooding. 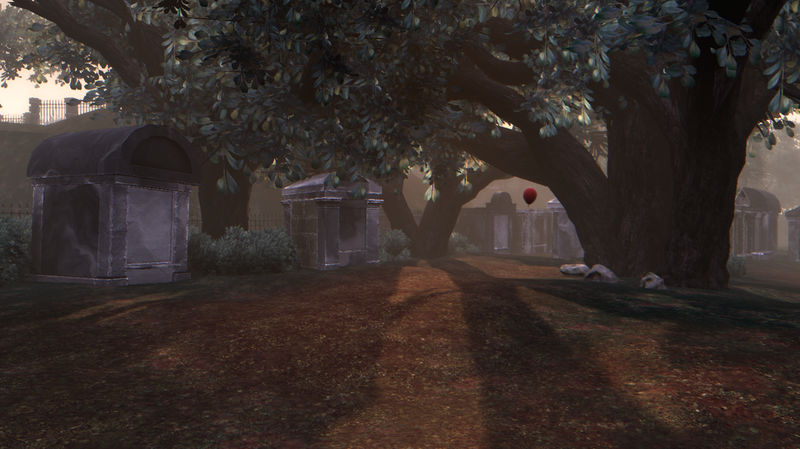 The area has some hills and features large, old, live oak trees with branches that almost touch the ground. The cemetery was placed on the outskirts of the city as a precaution against spreading infection. Concept art for the cemetery. References I photographed of the cemetery in New Orleans. 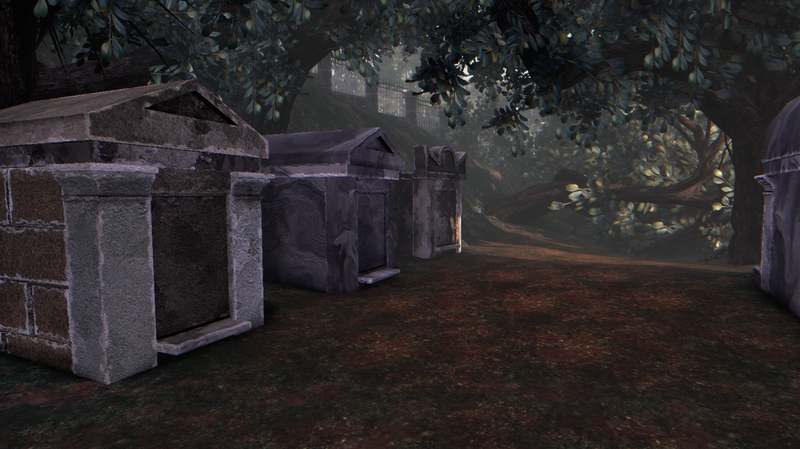 This environment was my first exercise in making assets to assemble into a UDK level. 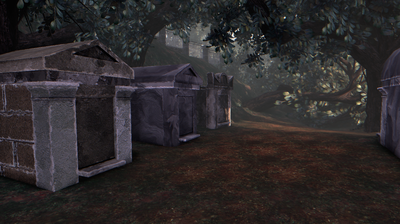 Tomb models were split up into different interchangeable, modular parts that were assembled in engine into prefabs. 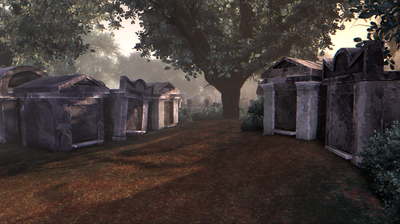 Roofs, walls, doors, and front steps were split up as separate static meshes that could be assembled in different combinations to make full tombs. 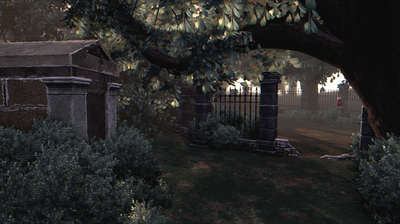 This project was also my first time using Allegorithmic Substance Designer. 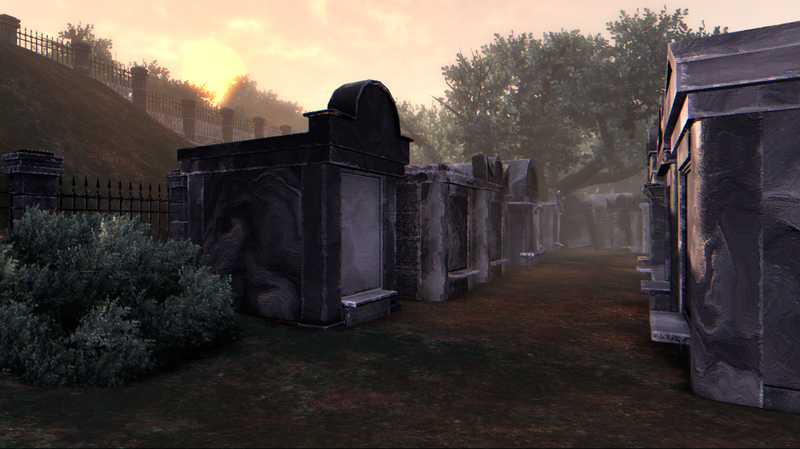 I made two different procedural concrete textures with exposed parameters and instanced the substances within UDK to make a few different variations to put on the different tomb prefabs. 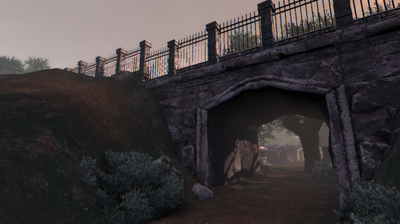 The ground texture is also a substance that can be painted onto the terrain in three different variations - grassy, patchy, and bare.